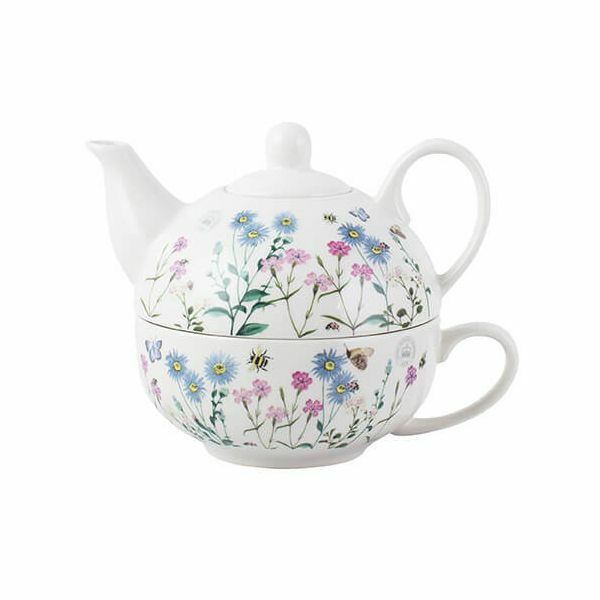 This stoneware Meadow Bugs tea for one teapot and cup are inspired by The Royal Botanical Gardens Kew and features the official hallmark. 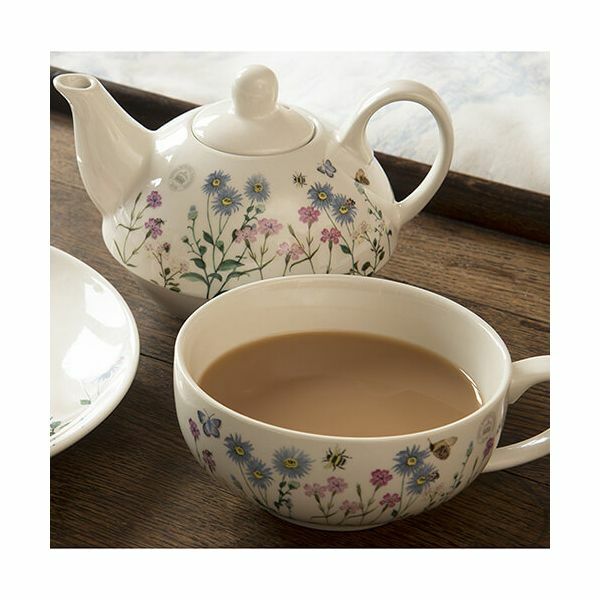 This lovely 'tea for one' teapot and cup feature bumblebees, butterflies and ladybirds amongst wild flowers in a range of dusky pinks and blues with sunshine yellows reminiscent of a beautiful wild blossoming meadow. 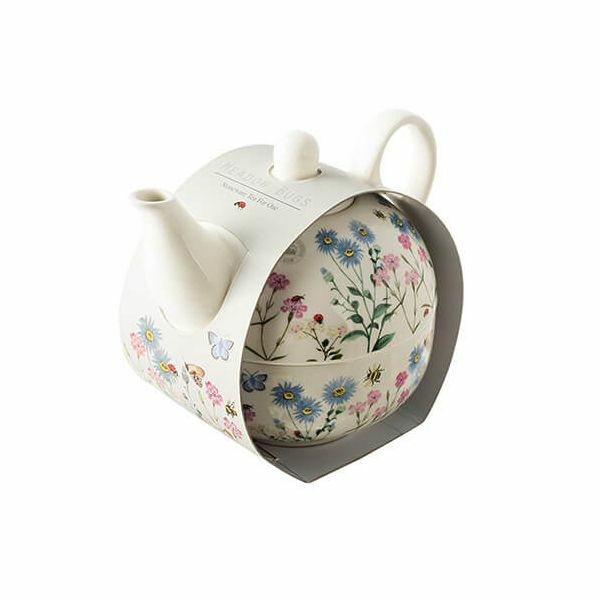 This 'tea for one' teapot and cup are perfect for taking time out with a cup of refreshing tea.